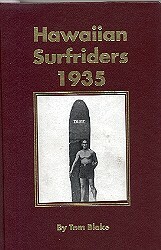 introduced (standup) surfriding to Victoria at Portsea in 1926. The board he used may have been one several (4?) boards shaped by Duke Kahanamoku in 1915 and possibly donated to raise donations to the war effort. This board itself had four copies made while in Victoria. 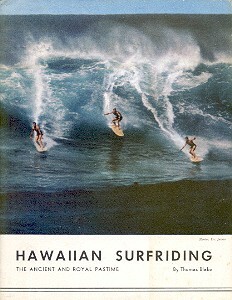 - Promoter of board riding organizations, note particularly visits to Hawaii. 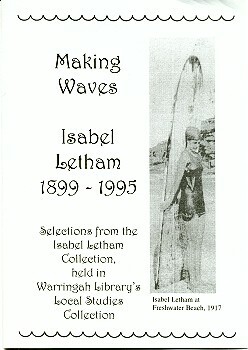 - Magazine Editor/Publisher - Surfing World Magazine (Australia's third surfing magazine) and still running. - Film maker, a catalogue of approximately a dozen films. - Contest director, particularly the 1964 World contest at Manly, NSW. 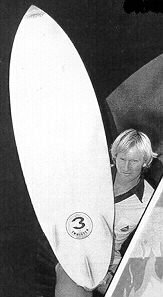 - Mentor to the surfing careers of many surfers, but especially Midget Farrelly, Nat Young and Peter Drouyn. - Mentor to the journalist and/or film careers of may, including John Witzig, Paul Witzig and Alby Falzon. There has been long reported connection between the naming of Surge (spelling?) Rock at Fairy Bower and Bob Evan's nick-name - "Serge" (again, spelling?). The connection, apart from the spelling inconsistency and working out which came first, is further complicated by the fact that Surge Rock does actually "surge"
Look closely at David Nuuhiwa's speed crouch, then look under- neath. That's right, he is in perfect trim with his surfboard upside down. Fin up, no wax, reverse rocker: Silly? Definitely. Dangerous? Could be. Easy? No way. Attention thrillseekers: Nuuhiwa is a trained, professional surfer: Please don't attempt this at your home break. 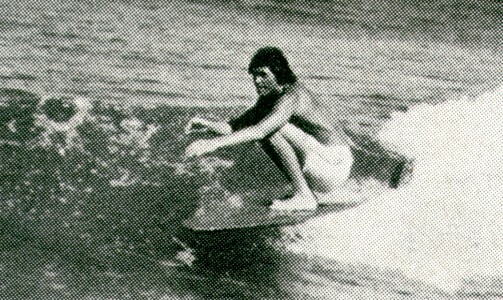 Volume 30 Number 10 page 34.
later to become the editor ; founder of Surf International,Tracks and Sea Notes magazines. - filmmaker. 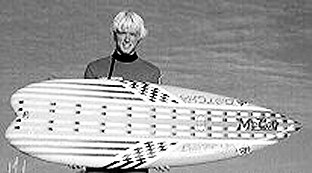 began film work with Bruce Brown in Australia 1963 and contributed Australian footage to The Endless Summer. First feature A Day in the Life, re-edited for Hot Generation, the first of a triology of high performance surfing films 1966 -1970. Evolution and Sea of Joy were followed by Rolling Home. Well known late-starter surfing couple, they toured the coast 1965 - 1973. Pa Bendall died circa 1972-3. 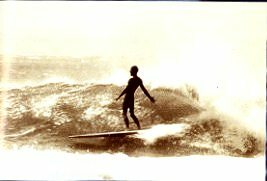 Pa Bendall Memorial Contest early 1973, Caloundra, Queensland. Won by Richard Harvey. 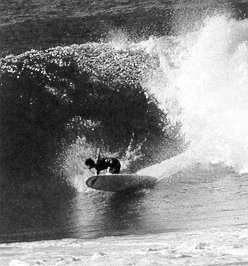 Pa Bendall Memorial Contest early 1975, Caloundra, Queensland. Won by MP? Noted for the extreme behaviour of Keith Paull. Rob, January 2004, emailed a postcard (caption details edited above, image left) noted..In a surf chat forum recently I asked if anyone knew what happened to Pa Bendall. 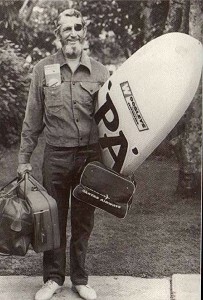 I remember seeing him in Newcastle in the 70's at the Mattara Surf Contest, forerunner to the Mark Richards Pro held here each year. 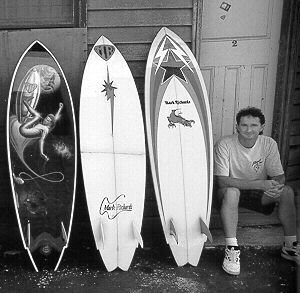 Geoff Cater (1999 - 2019) : Surfer Biographies.